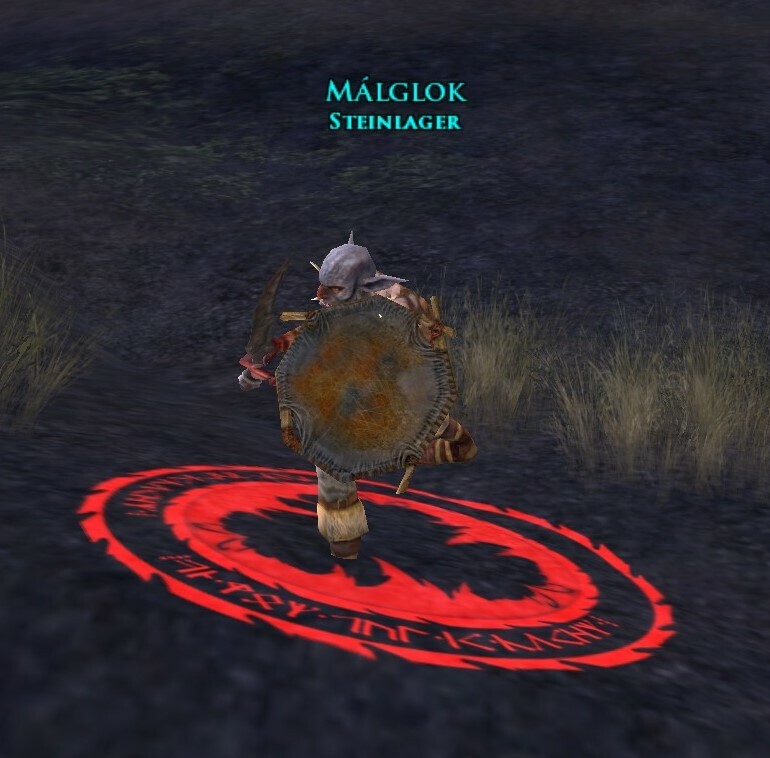 he has 2 PH's, both Ongburz Slicers and they pop practically right next to each other on the flat plain to the west of the main road into Dol Dinen (between the second outer camp with a mixture of orcs and goblins and the trench that Dombri wanders around in). One placeholder walks south towards the trench. The other walks north through the goblin camps.